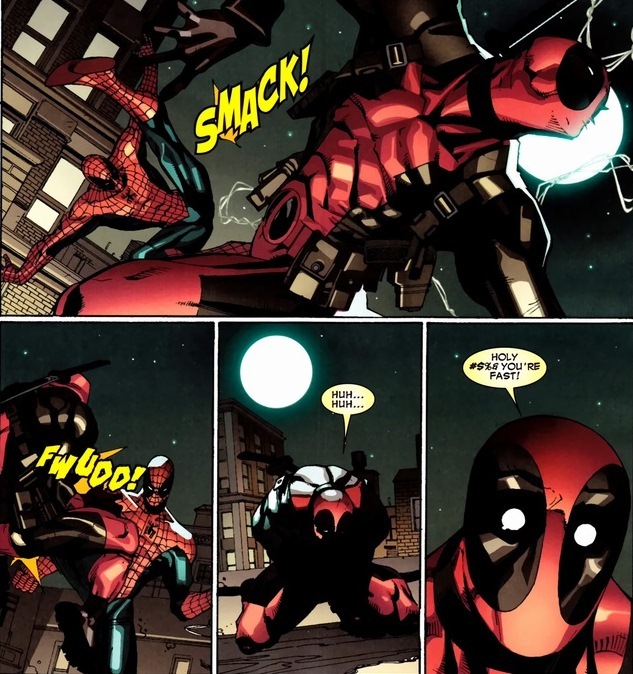 Deadpool’s not well-liked in the Marvel universe. His tendency to murder, double-cross, and frequent violently impulsive behavior certainly doesn’t help. But c’mon, the Punisher has all those qualities too and he’s – oh wait, nevermind. 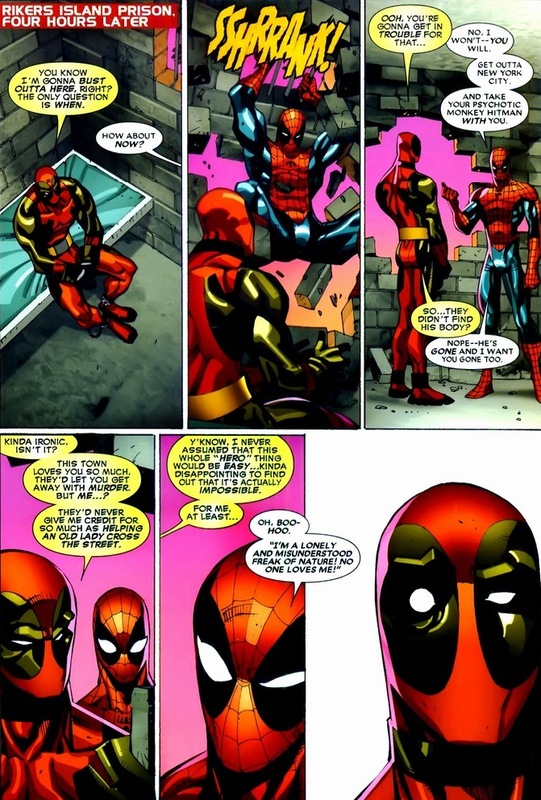 Unlike the Punisher, Deadpool (real name Wade Wilson) still has feelings. And he decided that the best way to become beloved is to simply stop being bad. 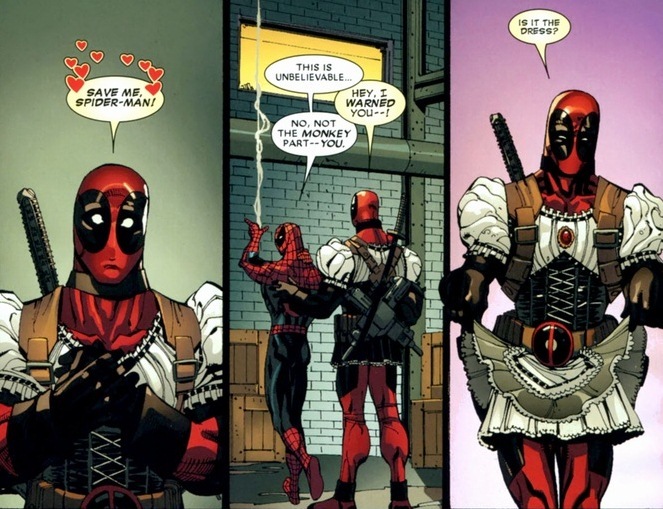 Once Deadpool crosses over to the hero side, certainly the praise/attention/ladies will just swarm him to his heart’s content. 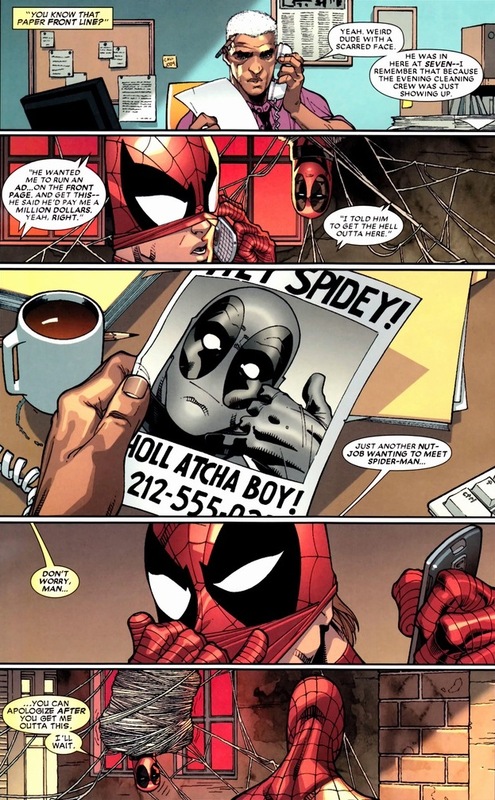 So he goes to get advice from Spider-Man in Deadpool #19-21, written by Daniel Way and drawn by Carlo Barberi. 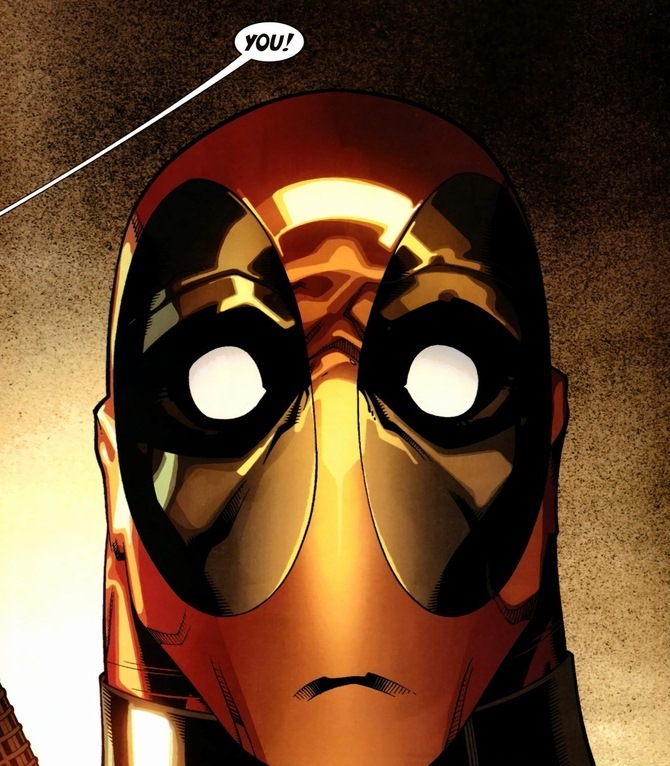 If you don’t remember or know Deadpool’s deal, I explained his powers, history, and all that jazz in a previous article. Though, he does have an infamous assassin reputation to shed first. Oh, and I decided not to edit out some of the language, it’s nothing major but probably not a good idea to read this with your six year-old on your lap. Why yes, detective, he has. 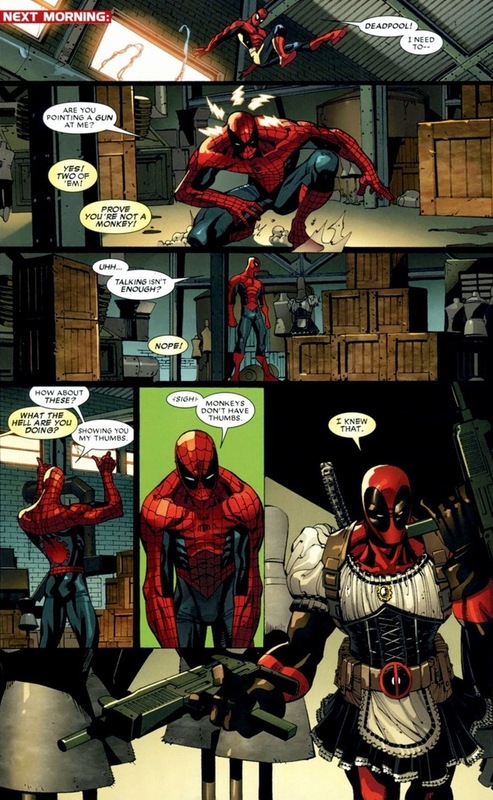 But while Spider-Man doesn’t know this, Deadpool’s looking to make a fresh start. And murdering a convenience store’s owner and buddies ain’t going to help him much. That and his alibi. 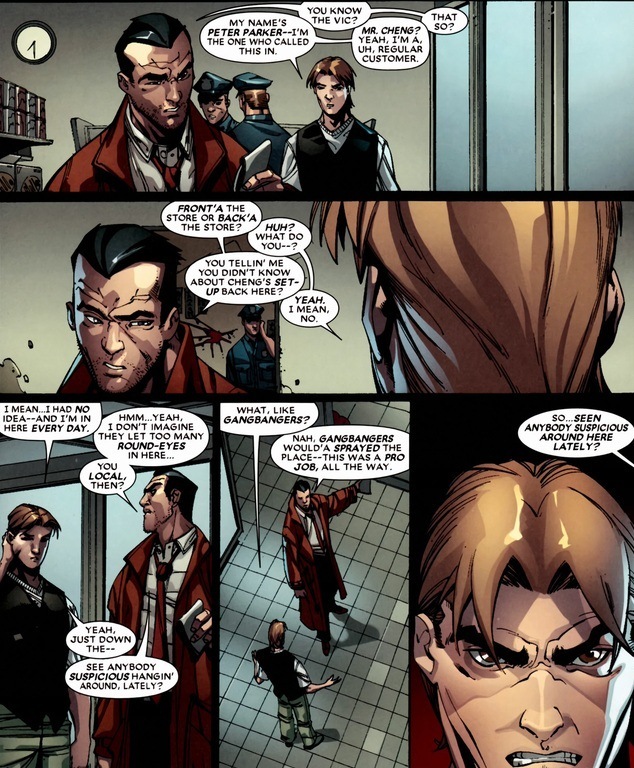 More importantly, Wilson knows who committed all those gruesome murders. 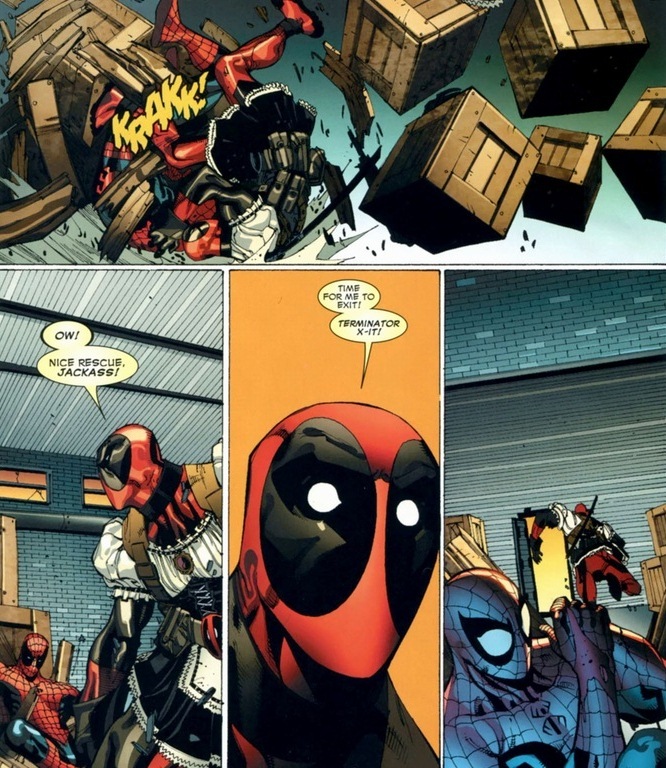 Want to know why Deadpool comics have exploded in popularity? Darn tootin’, villains and insanity like Hit-Monkey. No backstory, no tragic history (well, actually the Hit-Monkey miniseries that came out after this explained all that). 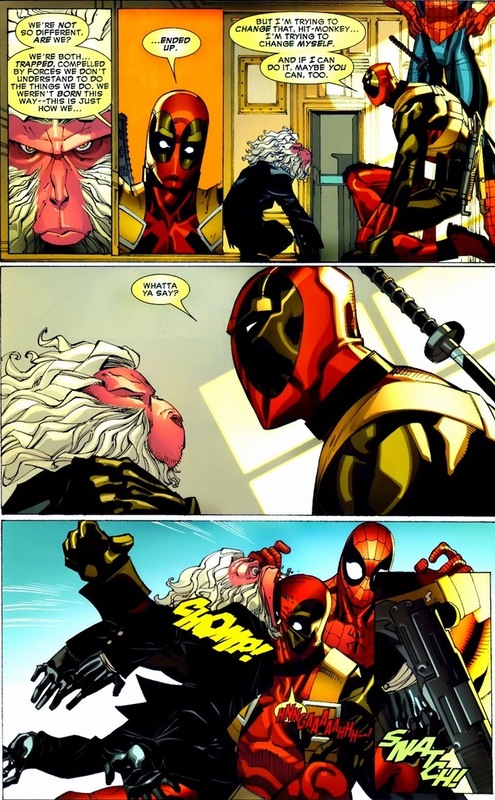 Just a monkey who kills people and it’s up to Deadpool and Spider-Man to stop him. Beautiful. Understand that for the sake of story progression, I’m omitting most of the side plots and the corresponding jokes sprinkled throughout this arc. Sorry, go read the issues for those, because it’s totally worth your time. 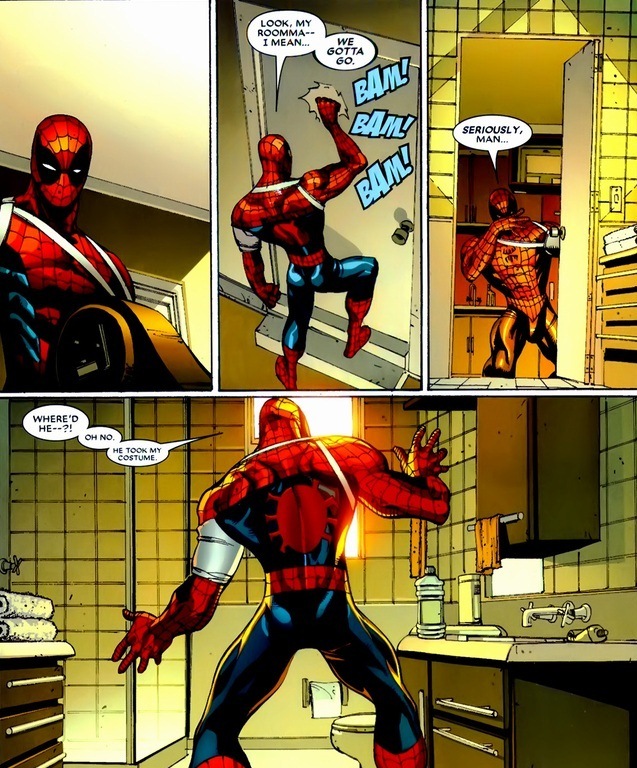 Either way, Wilson’s taken measures to protect himself, because even with an accelerated healing factor, getting shot hurts. Look, we can beat around the bush and I can show you a few more scenes of the two bantering, but that’s not why you’re reading this, right? You want to see them battle Hit-Monkey, who looks exactly like a monkey assassin should. 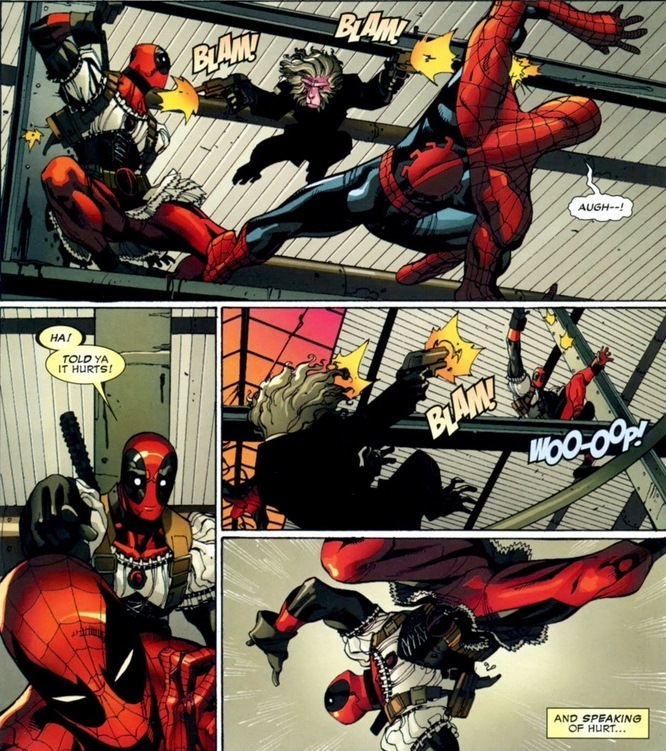 Spider-Man and Deadpool have separately taken out villains that could easily destroy entire cities. Villains that have manufactured deadly diseases, hostile invasions, made the Avengers wet themselves. 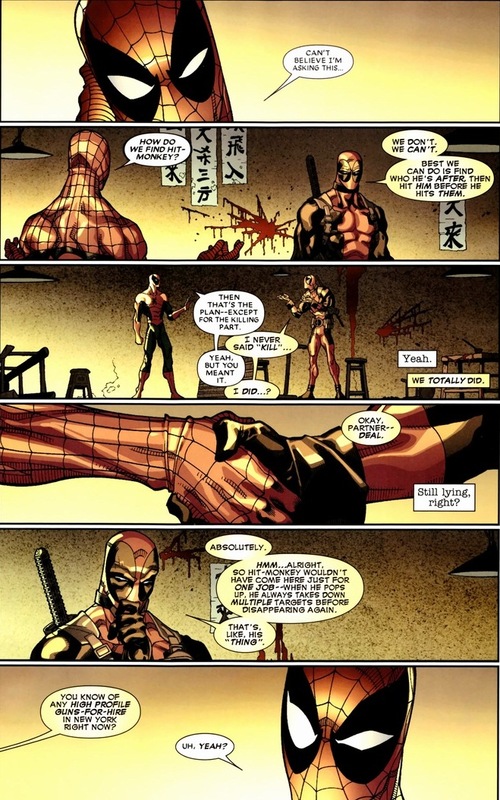 Heck, Spider-Man once defeated the Juggernaut. But both of them, in a matter of moments, had their butts handed to them by a monkey in a tiny suit. 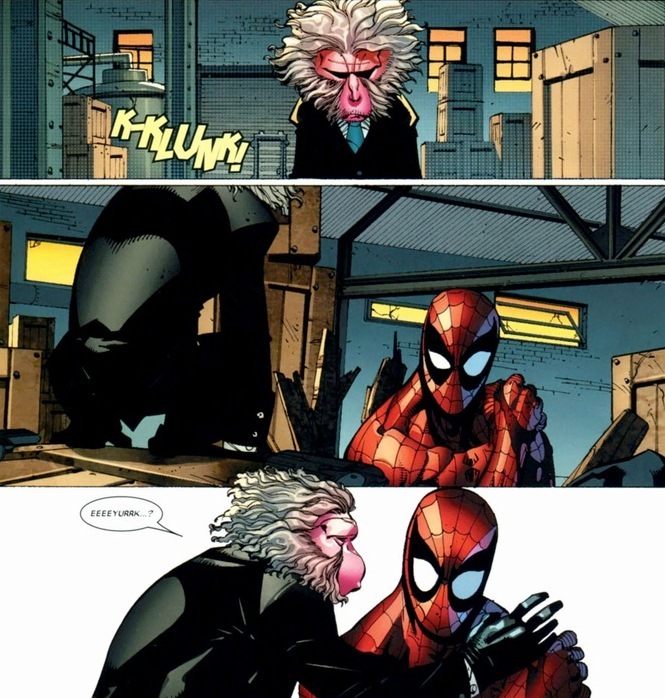 Don’t worry, because Hit-Monkey’s smarter than the average monkey. Also, possesses a lot more empathy. Confused? 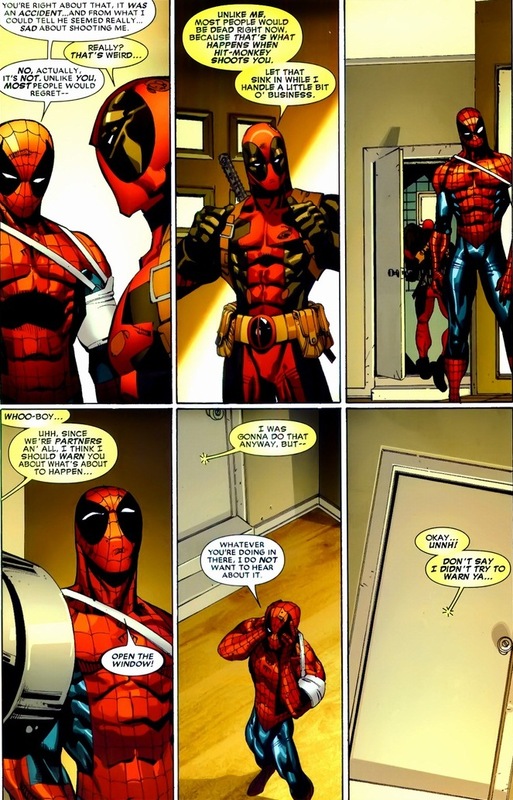 Let’s have Deadpool and Spider-Man philosophize over primate morality while mixing in the appropriate amount of bathroom humor. 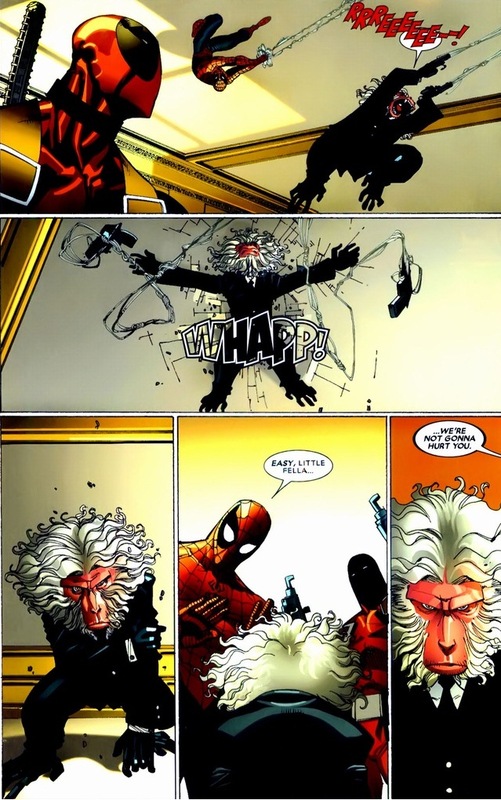 Deadpool and Hit-Monkey’s final battle arrives soon. How can our protagonist defeat the little predator? That’s right, ambush. 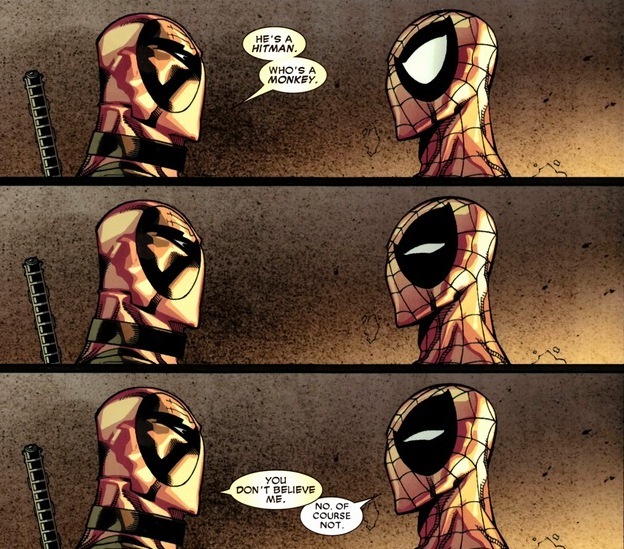 Though, a constant rule among Deadpool comics forever holds that no one suffers more than Wilson’s allies and friends. Now Deadpool gets to shine! He lured the monkey to a trap! He’s saved the city and avenged those who have fallen by the assassin’s hand! I mean, he would have if he wasn’t fighting something so adorable. 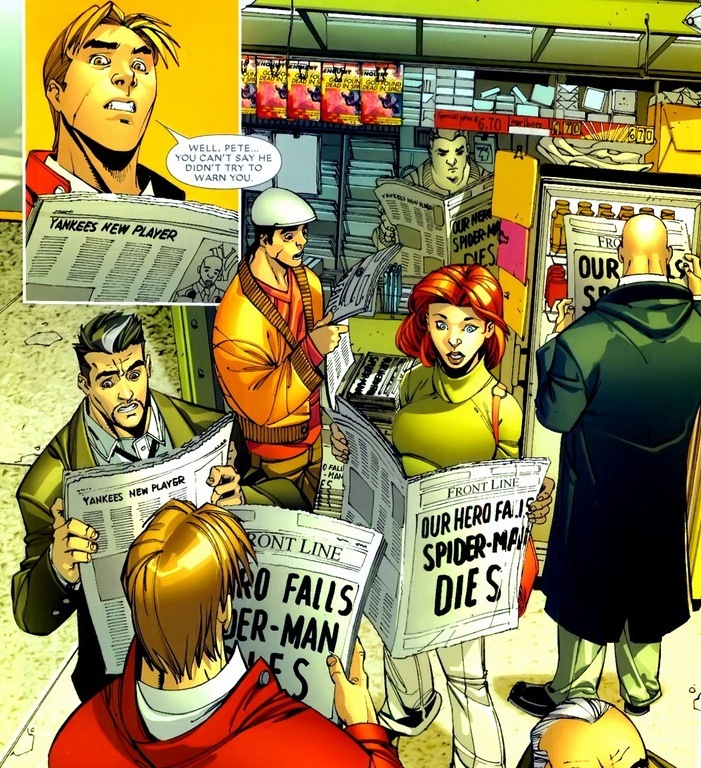 Thankfully, Spider-Man isn’t dead. If he was, we’d need a separate issue where he built a cocoon and birthed himself back to life (The Other joke, sorry). 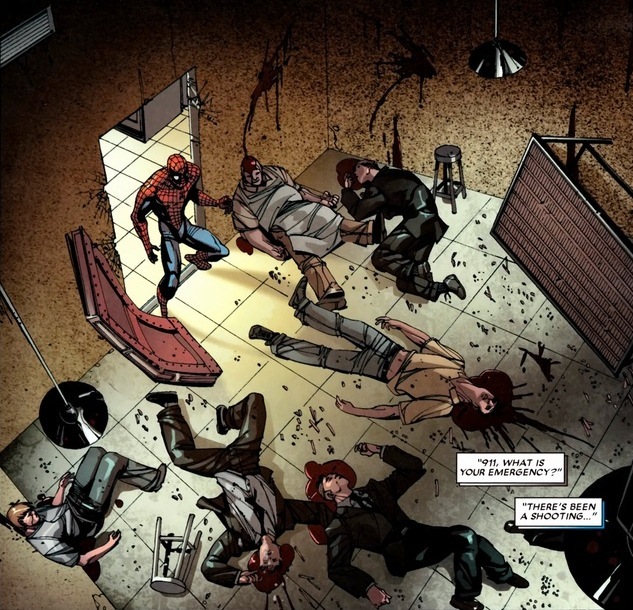 But Spider-Man realizes there has to be a way to solve this conflict with less violence and more words and ooks. Never mind. Once a monkey assassin, always a monkey assassin. And with that, the fight’s over. 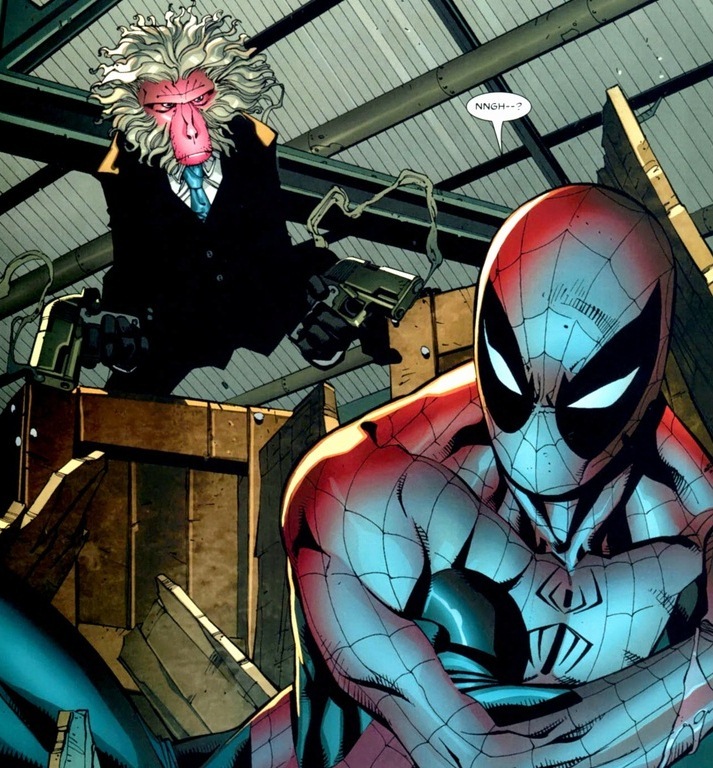 We know from TV, movies, and comics that the best ending always involves some sort of explosion. 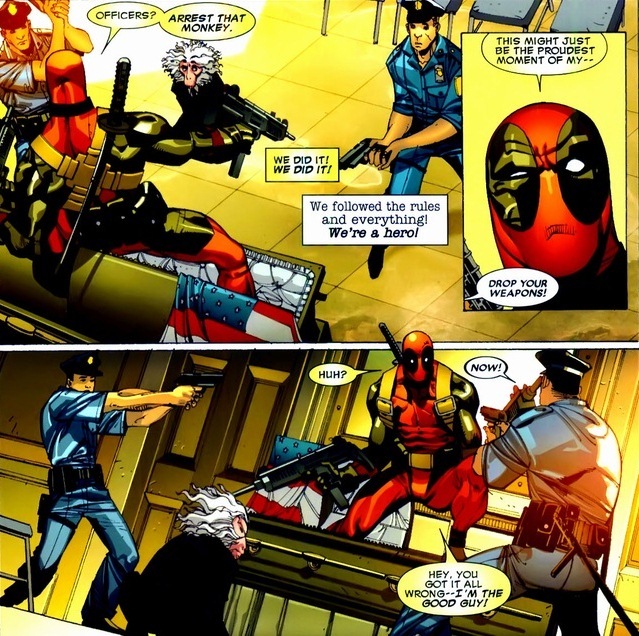 Plus, Deadpool can heal himself. Yup, zero life lessons learned. Zero growth accomplished. 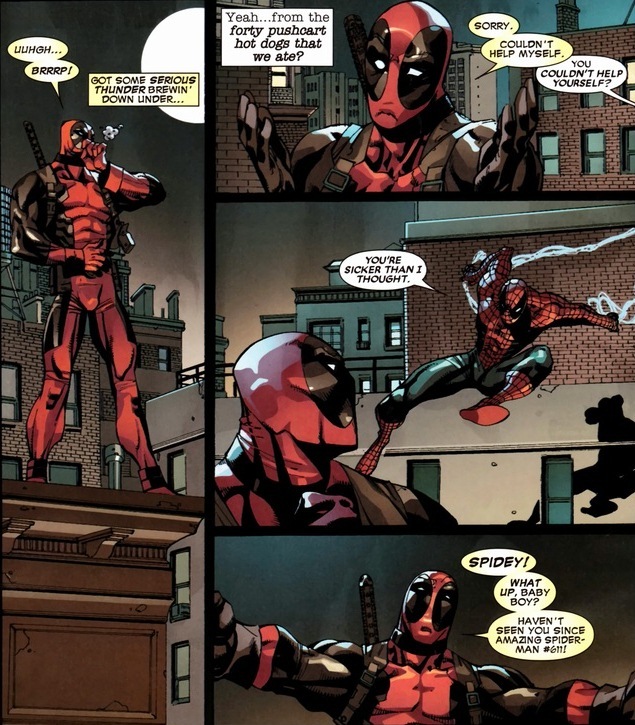 Deadpool’s the Seinfeld of comics and we love him for it. 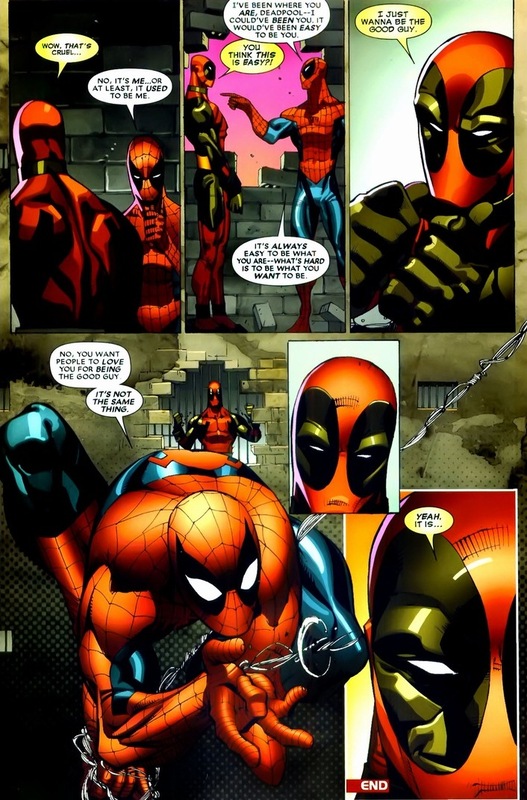 Someone compared Deadpool’s creator, Rob Liefeld, with Jack Kirby: http://www.spandexless.com/2012/05/spandexless-reads-05-31-2012/. What do you think about it? Unfortunately, I’m not going to read an 8,000 word article. So I’m going to believe whatever is your opinion. You’ve never let me down yet. In my opinion comparing Liefeld with Kirby is a bad idea. 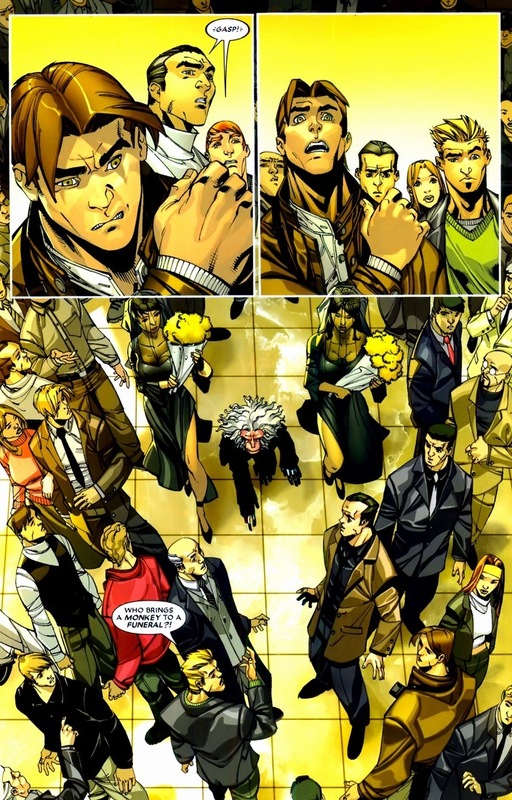 Kirby invented some of the most successful comic book characters ever, so he gained the respect and the love of millions of readers, while Liefeld… the hatred surrounding him is overblown, but, if we consider both his creations and popularity, it is undeniable that he didn’t reach the same results. 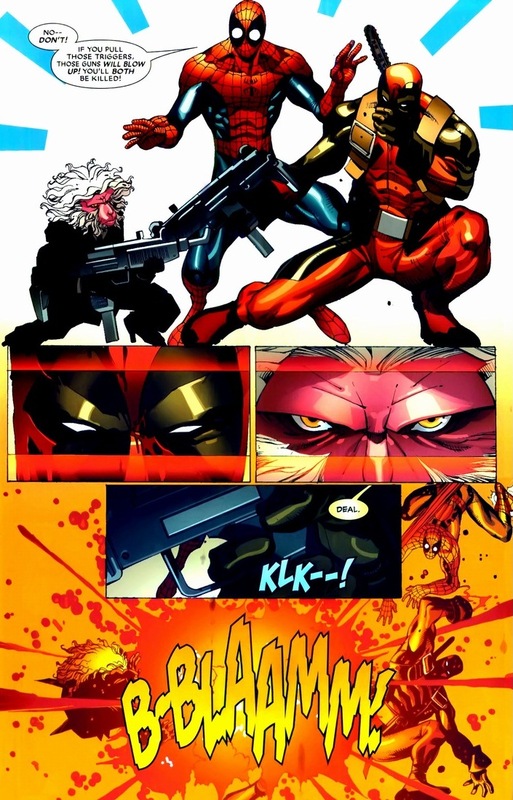 Most of Liefeld’s creations are clones of pre – existent characters, and, as I already wrote, he’s surrounded by a negative hype that Kirby certainly never faced (and never will). 1) He can draw, of course: if he couldn’t, he wouldn’t have built a 25 years lasting career. His technique has a lot of flaws, though, and I can tell you the same about his writing abilities. Of course nobody’s perfect, but some people can’t stand a man having so many flaws, doing nothing to fix them up and constantly getting work anyway. 2) A lot of people dislike 90s comics, since they were characterized by all the awful things I enumerated in a previous comment, and they see Liefeld as a symbol of that era, since his 90s comics were filled with those awful things. He wasn’t the only one also in this case, but he was the most exaggerated one, so he was the easiest target, the ideal scapegoat. Anyway, “This website is a celebration of comics, never a criticism” (wonderful statement! ), so I’ll try to say something good about Liefeld. Well, Youngblood is one of my favourite comics right now, and the preview of the 73rd issue I saw yesterday was very interesting, so I do suggest you to give it a try. did no one notice that monkeys DO have thumbs? 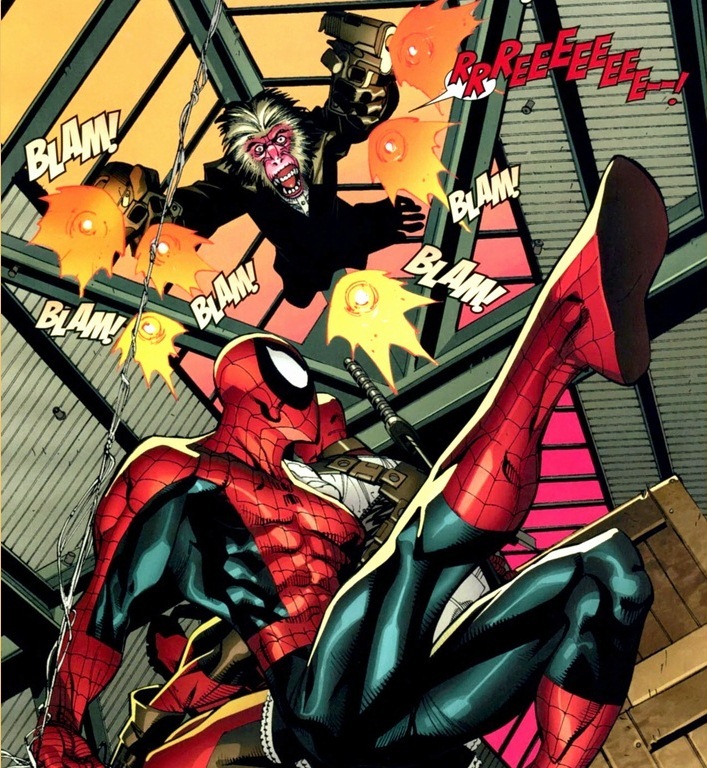 Even in the next set of pictures you show,Hit Monkey himself is drawn with thumbs shooting his guns…and Spider-Man is supposed to be smart.